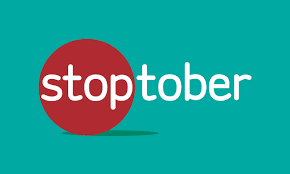 Stoptober will offer you more ways to help you quit smoking and improve your health and well-being. Public Health England recently announced a free online quit plan called Personal Quit Plan. It will offer practical advice on how to quit utilising previous experiences and what you have done to try and give up. Since 2014 over one million fewer people now smoke which is great news and should prove that it really is not that difficult to give up if you are given the right support. Over fifty percent of people who engaged with the NHS stop smoking plans have given up. Remember it is not only the health implications that are major negative factors but the financial cost is tremendous as well. Smoking and it’s associated illnesses cost the NHS billions of pounds and take up a massive amount of time and resources. With this fact in mind the NHS offer local stop smoking services free of charge. You can call the national smoke free helpline on 0300 1231044. They will put you in touch with an adviser who will offer you one to one counselling and support to help you quit. You can also get a free referral via your GP. When purchasing a scooter a new scooter is a great option. At Total Mobility we have fantastic deals on new products and they all come with a no quibble two year guarantee. As an independent dealer we are able to source the exact product you want from all the manufacturers in the UK. However there are situations when a used scooter can be a good option. Obviously price is the main reason why people look for a used product. At Total Mobility we have a fantastic range of used scooters, most of which are ex-motability products so they have been serviced and maintained throughout the three year contract. The most important thing to consider when buying a used scooter is what happens if it goes wrong. My advice is NEVER buy privately, it may seem like a good deal but if the scooter stops working you have no recourse and could end up paying a lot of money to get it repaired. Total Mobility offer a full 12 month guarantee on all used products so you can be safe in the knowledge that you will have trouble free motoring. After the 12 months is up you also have a point of contact for full back up after sales and support. Another reason a lot of our customers choose the used option is if they have never used a scooter before and want to try one to see if they like it and it gives them the freedom and independence they are looking for. Once they have got used to it and decided it is the ideal solution to help them with their mobility going forward they can then part exchange it against a new one in the knowledge that it is not money wasted. Total mobility offer a full tutorial on using your scooter to ensure that you have the know-how and confidence to get the most out of your product. If you want to take the first step to freedom then why not give us a call and we will be delighted to carry out a free assessment. Getting a scooter through Motability. When getting a new scooter there are a lot of things to consider. If you are in receipt of Disability living allowance (DLA) and have the high rate mobility component or receive Personal independence payments (PIP) and get the enhanced rate od Mobility or you receive War Pensioners allowance you will be entitled to get a scooter through the Motability scheme. The motability scheme allows you to get a brand new scooter or Powered wheelchair with no deposit and pay for it weekly using one of the above benefits. The contract is based on a contract hire package over three years and everything is included in a complete worry-free package. The weekly cost includes things like full 3 year warranty cover so all repairs are taken care of, 3 years comprehensive insurance cover, breakdown and recovery for you and your product back home, full servicing package, consumable cover for batteries and tyres as well as a loan scooter to keep you mobile should your need to be taken in for repair. At the end of the contract you will be able to hand it back and get another brand new machine and start a new contract so you are guaranteed a good reliable product at all times with no ongoing costs or surprises. At Total Mobility we offer Motability on a nationwide basis. The journey begins with a free home visit so that we can carry out a full assessment to make sure that you get the correct product for your needs. You can try a number of different products if you wish. Your comfort and enjoyment of the product is paramount. We also take into account things like accessibility to ensure you have no problems getting in and out, storage to ensure you can store it safely and securely, charging facility, to ensure you can charge it up and of course cost to ensure you can afford the product you choose. Once you have chosen the product we will put in an application and it takes around 1-2 weeks to get your new product delivered. On delivery we will run through how to use it and how to charge it, and give you all the useful numbers to contact if you need any help or assistance going forward. So why not take the first step to freedom and call Total mobility today. Trouble Pushing a wheelchair ? Life for a wheelchair user is not easy. With new disability laws things are changing and becoming more wheelchair friendly which is great, however we are coming across a number of people who are in a manual wheelchair and life is restricted because they are not strong or able enough to self-propel themselves and their partner is not able to push them around very far due to illness or old age themselves. Total Mobility have the solution, we offer an attendant controlled chair which can be operated by the person pushing the chair from behind and this takes all the effort away. All the person needs to do is steer the chair and the Powerstroll unit takes up all the strain. The powerstroll can be easily fitted to almost any manual wheelchair and clips on and off easily for transportation. We also offer the option of a dual control powered wheelchair which can be operated either by the person sitting in the chair by use of a joystick or at the flick of a switch can be operated from behind by an attendant. If you feel either of these solutions may make your life easier then give Total Mobility a call for help and advice. Buying a mobility scooter can be a confusing experience with so many different makes and models to choose from with lots of different shapes and sizes. There is a growing debate as to whether mobility scooters and powered wheelchairs should be sold directly on online. The advantage of buying online is that the cost of the product is often less expensive with many online suppliers making very small margins. The big dis-advantage (which often becomes apparent after you have received the product) is that most of the time there is little or no back up service or after sales support. The fact that an online supplier could be based anywhere in the country leads itself to the obvious conclusion that if they are only making £50 -£100 profit on a product bought about by cut throat discounting they are not going to be travelling 100’s of miles to come to repair your scooter. To cover themselves legally they tell you to box it up and ship it back to them knowing full well that an elderly and vulnerable customer would not be able to do that. The other end of the spectrum are Mobility retailers. The advantage of a shop is that you can try the product out before you buy and you have the back up service and support for an ongoing period. The big disadvantage of course is cost, they will often be selling at RRP mainly because they have shop rents, rates, staff and everything else to pay for. So looking at the market Total Mobility have set their business up to give you the best of everything. Having been established since 2000 and grown substantially year on year we feel we have the mix just right. Firstly we are able to offer National coverage, we have sales agents and engineers close by where-ever you are. Our pricing is set at a much lower level than a retail outlet but a little higher than an online internet supplier to ensure we have enough profit in the job to look after you going forward should any problems arise. We also carry out a free home visit and full assessment to make sure that you buy the correct mobility scooter or Powerchair for your needs. We cover all things such as access to your home, making sure the product has somewhere safe it can be stored and charged and making sure that you are comfortable on the product and confident using it.